By QUALITY ROAD – #1 Sire by G1 Winners in 2018! Out of Multiple Stakes-Placed, HENNESSY Mare, Sumptuous ($105,242). 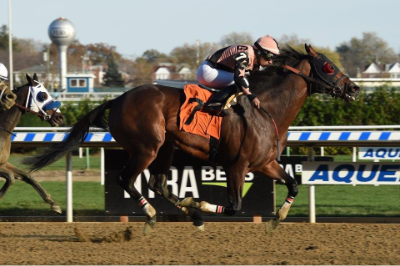 From 31 Starts GREAT STUFF has 7 wins 7 seconds and 7 thirds including the G3 Toboggan Stakes January 18, by 2½ lengths defeating G1 winners TAKAFUL and GREEN GRATTO.